Now festive season ahead and weâ€™re fulfilling our commitment regarding Christmas related stuff as we sharing today as â€œ40 Free Christmas Vector Graphics will Help us in Print Media Campaignsâ€ itâ€™s time to prepare your gifts, looking around for best price products, Christmas promotions, road signboards with beautiful and planning to revamp your blog or websites for Celebrate Merry Christmas 2011. 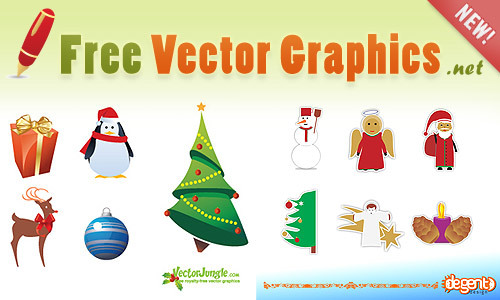 All of these free Christmas vector graphics which can come in accessible just before Christmas, you should go ahead with these beautiful free Christmas vector graphics for download and design your every kind of campaign, save your time. Hope you will enjoy these of all free Christmas vectors leave you user experience with us for more creative effort in future. Note: We request to you respected visitors and readers, use these listed vectors according to resource terms because may be there is some terms for usage of personal and commercial use. so much inspiring vector designs. ok consequently how to accomplish it?. . i have seen people receiving their blog posts published on top of their facebook fan side. pls help . recognition. these are well-designed and must appreciated their authors. You have a very decent web site and stuff as i was expecting on this Christmas, I enjoy the layout it actually stands out. we always love to read comments, positive or negative both. your feedback are valuable for us.